I've been using the Google Pixel 3 XL since its launch two weeks ago and fully agree with the conclusion of our test that Pixel 3 offers the best Android experience. But there is one aspect of this Android experience that I can not keep, and no, it's not the gigantic notch. It's the appallingly bad new multitasking system that's compulsory with this year's pixel generation and excludes the option of the well-known Android key trio as it does on Pixel 2 on the same Android 9-Pie OS. On the Surface of Google The new approach to switching apps is very similar to Apple's launch of the iPhone X. 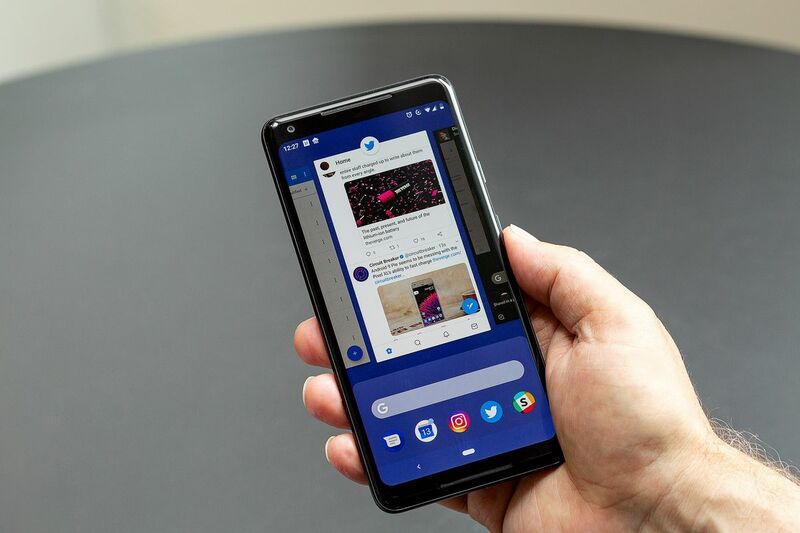 It's based on wiping and sharing two basic gestures: Swiping from the bottom of the screen brings out the multitasking overview Swipe between apps in the bottom navigation bar. Like my colleague Dan Seifert, who argues that everyone should copy the iPhone X's gestures, I think Apple's implementation of this approach is great (in his animations) and quickly becomes second nature once you've found out the basics. Google, however, is full of internal contradictions and painful harassment. Gesture interfaces are a good idea, but Google's execution is just bad. 1; I'm not afraid of change – but Google thought it's smart, still one after Swipe up the app drawer, just a lot longer and terribly unnatural. 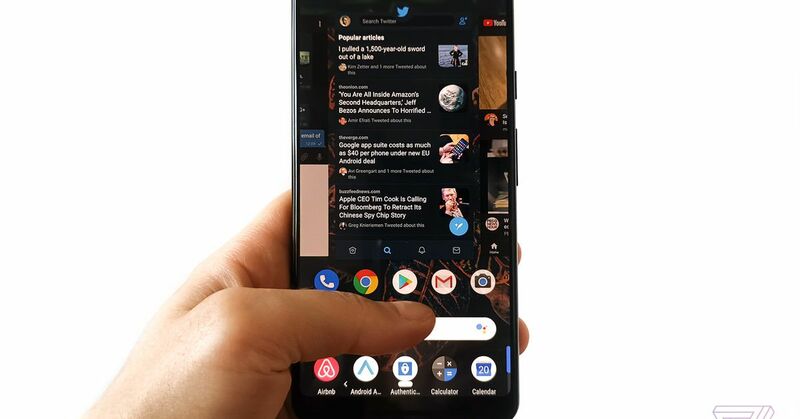 With a phone that has the size of the Pixel 3 XL, it is legitimate thumb craving exercise to perform a full-screen swipe. When I try to access my apps, the most embarrassing long swipe happens to me, choose the multitasking menu, and then swipe again to get to the apps. This may sound a little bit, but it really takes away the speed with which I can access my less common apps. Even if I populated half a dozen home screens or folders with those apps, that would still take longer than Google's previous, effortless system that I could use to immediately browse and select the app I wanted. Once there was fluidity and speed, Google has now introduced frustration. The sharpest aspect of Apple's iPhone X / XS navigation is the way you can swipe over the gesture bar at the bottom to switch apps. Google has a drunken version of it. First, the soft animation of Apple's system is missing. In Android Pie, the app window shrinks back, moves to the right, and the previously used app zooms into full view. This animation is staggering, and the latter app seems to be jumping on you. Apple's navigation also allows the user to swipe left and right between apps, while Google only alternates between the last used app and the current one. To go back further, you no longer wipe, you have to hold your finger to the right of a navigation bar that looks and works like a scroll bar in desktop OSs. The problem there is that I can never judge the right amount to do in order to do my desired app. With the iPhone, I know that the fifth most used app flies away five times, I can do that without paying attention to the phone or pay attention. With Pixel 3, I need to select just the right moment to let go, while the phone toggles between my recently used apps. It feels like trying to run on an ice skating rink. Consider the comparisons made with Apple's gesture-based interface, which is still not everyone's favorite cup of UI tea. What about Google's existing multitasking system in previous Android iterations? It had a dedicated software button to access multitasking, so there was no mishap with the app drawer, and I could tap this button twice to switch to my last used app. It was fast, but more to the point, it was easy to turn into an unconscious habit. There is nothing simple or natural about Google's new system. Another unwanted change in Google's latest multitasking view is that you basically only see your current app, with only vertical splits, two adjacent apps. In previous versions of Android, you got a vertical stack of apps so you could access older apps faster. Samsung still does that, and when I get the Galaxy Note 9 with Android 8.1, I feel like I had an interface upgrade when switching apps. In summary, Google has reduced the usability and information density of its multitasking without gaining much of anything. 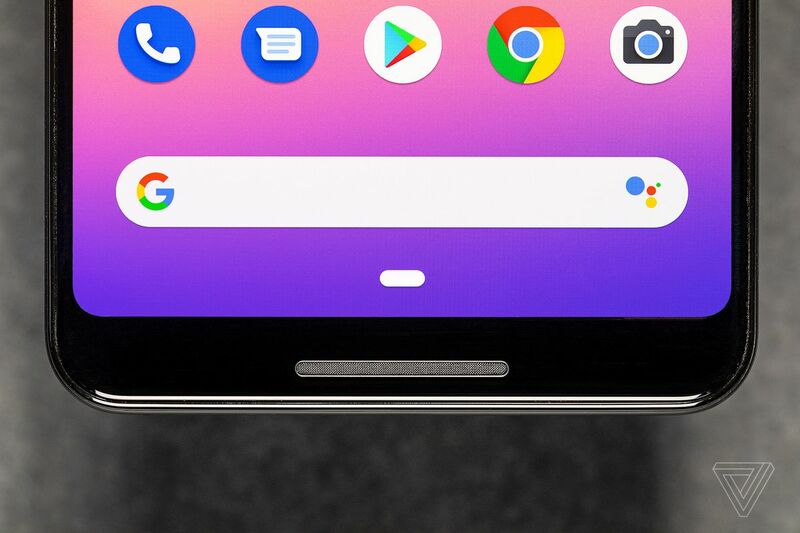 Even if you believe, like Google, that the trio of Android software buttons have to go away to simplify the experience and leave more room on the screen for other purposes, that did not really happen with the iteration introduced in Android 9 Pie. There is still enough room on the screen, as was the case with the previous three buttons. I do not think Google's new multitasking system is an irrecoverable disaster, but I do not think it deserves to be the default option and the only option for Pixel's signature version of Android. Just give us back the old option, Google, while ironing out the kinks in your new one.